KEN YUSZKUS/Staff photo. 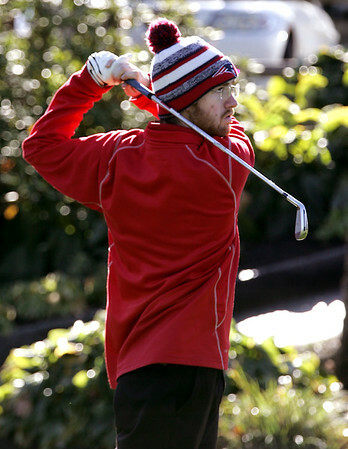 Masco's Tyler Herlow at the 1st tee during the Division 2 North state golf at Hillview Country Club in North Reading. 10/19/15.